Almost any everyday object can have a company name and logo printed, embroidered or laser-etched onto it. Promotional products are an effective way to get your company name and logo in the hands of potential customers, prospective employees, or any targeted demographic. 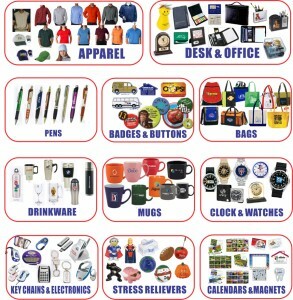 Promotional items also have significantly better staying power than traditional media and at an overall lower cost. Click on the link below to view all the merchandise that we can provide. Call one of our account executives today for unique ideas specific to your business or event. 325 N Saint Francis St.